Donald Trump’s legislative agenda is being blocked in Congress. 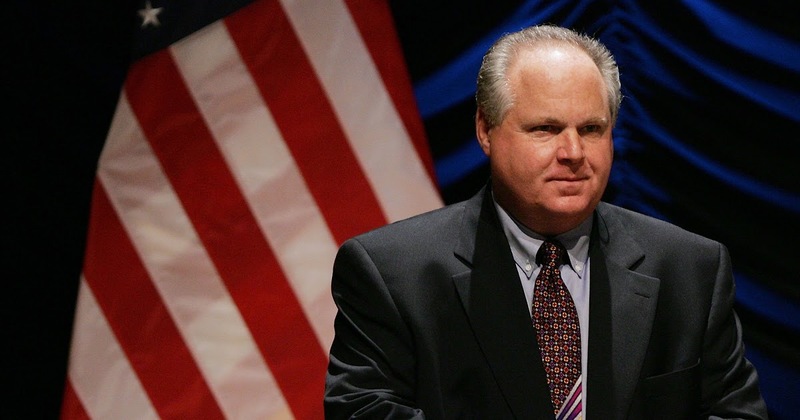 Rush Limbaugh explained who is thwarting the will of the people who elected him President. But his answer may shock you. Trump’s agenda to build the wall, cut taxes, and repeal Obamacare has stalled out in Congress. Many Americans assume it’s because the Democrats in the Senate are filibustering those initiatives. The real culprits – as explained by Rush Limbaugh – are establishment Republicans. I don’t understand how people don’t get that it’s not just the Democrats in Washington that are roadblocking Trump. I mentioned it earlier. So voters gave Republicans the Senate, and Mitch McConnell said, “Well, the first thing you have to know is it takes 60 votes to do anything in the Senate, and we don’t have 60 votes. We only have 52.” And then he would add, “Plus, as long as Obama’s still in the White House, all this is academic anyway. He’s gonna veto whatever we pass.” So we gave the Republicans the White House and elected Trump. Now the latest story… There’s a Wall Street Journal story. You know, I had this sort of cram last night after getting back from being away two days. To cut taxes and repeal Obamacare, the GOP can use budget reconciliation and pass those bills with a 51 vote majority. But it’s becoming apparent that Republicans in the Senate lied about their support for both. Senators such as Bill Cassidy, Susan Collins, and Lisa Murkowski have been hesitant to support an Obamacare repeal bill. Other Senators such as Ohio’s Rob Portman – who comes from a state where they expanded Medicaid – are fighting to keep that expansion of government healthcare intact. On taxes, establishment Republicans are obsessed with “revenue neutral” tax reform. This means taxes aren’t really cut. Some are cut. Some are raised. But the point is that the government keeps taking in the same amount of money. If Obamacare repeal and tax cuts stall, it won’t be because the Democrats threw up unbeatable opposition. The Republicans have the votes to push through Trump’s agenda. If they do not send Obamacare repeal and tax cuts to Trump’s desk, it was because they continually lied to their voters about what they stood for. Click Here to Vote Now! Are D.C. Insiders Trying to Sabotage President Trump?